Get ready for an escape to Hocking Hills! You're always welcome at Carefree Cabins! 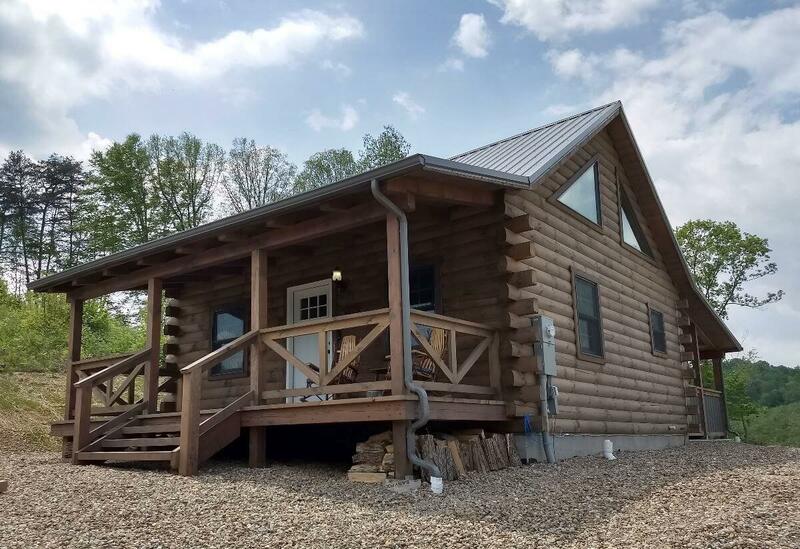 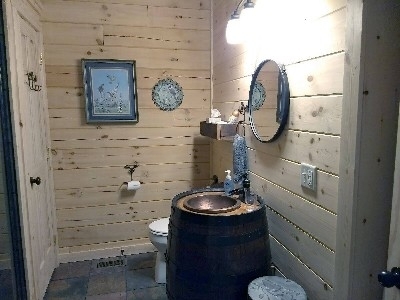 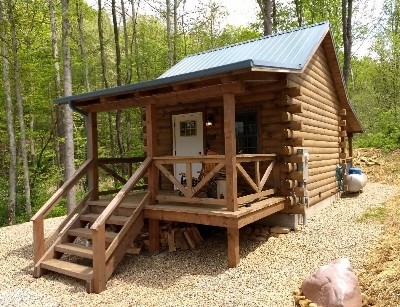 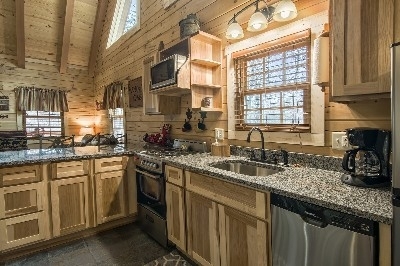 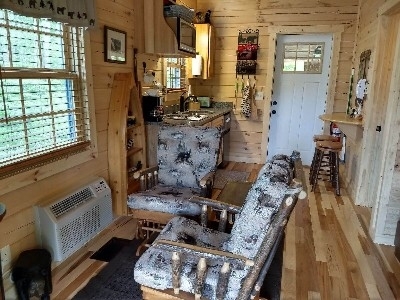 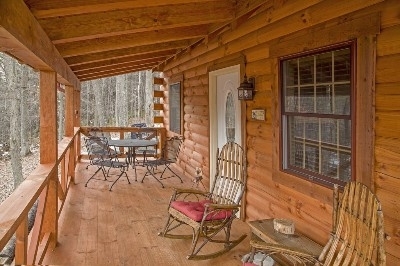 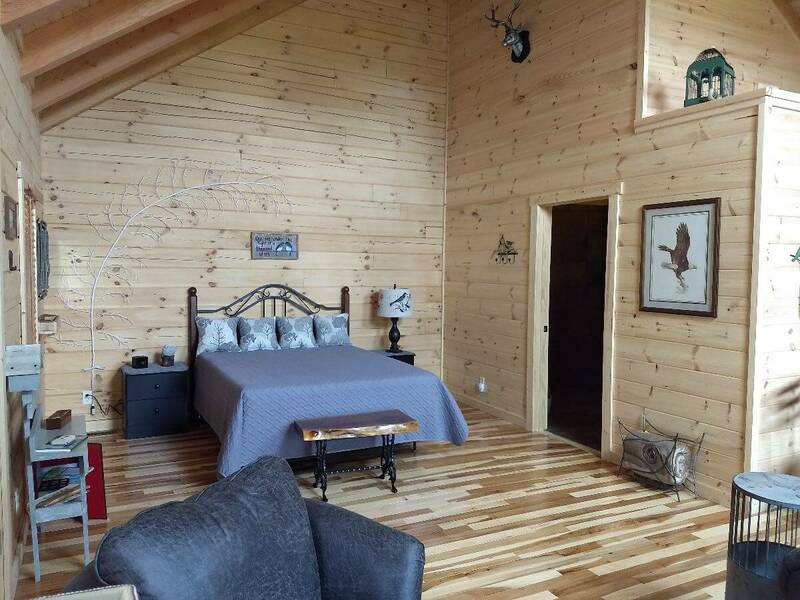 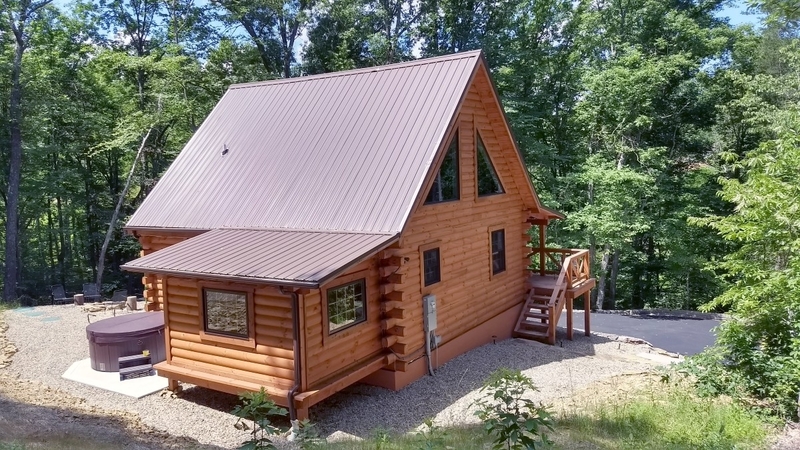 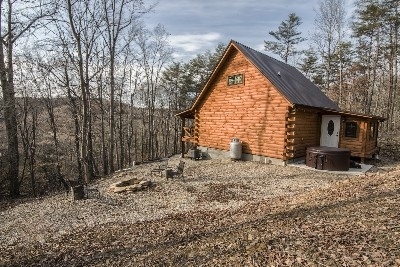 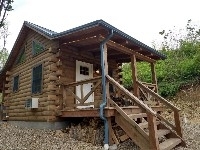 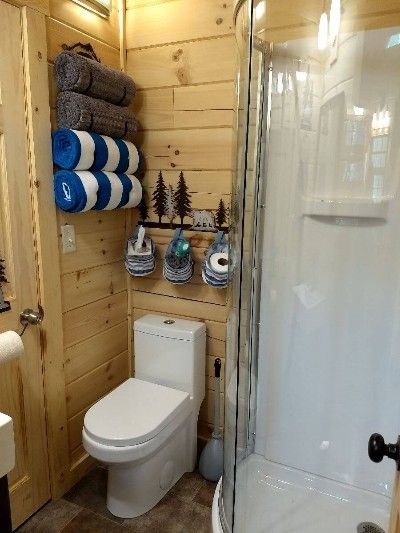 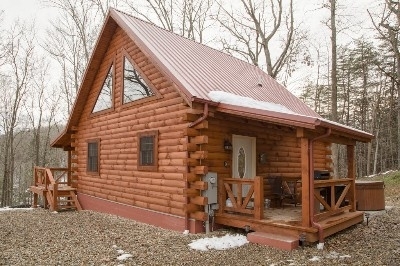 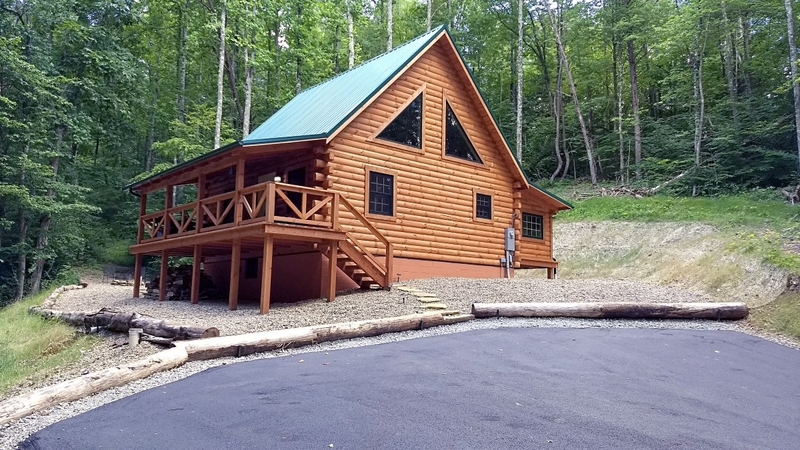 Brand new in 2017, offering cozy, relaxing, and secluded log cabins with and all the comforts of home and fully appointed with amenities guaranteed to delight you. 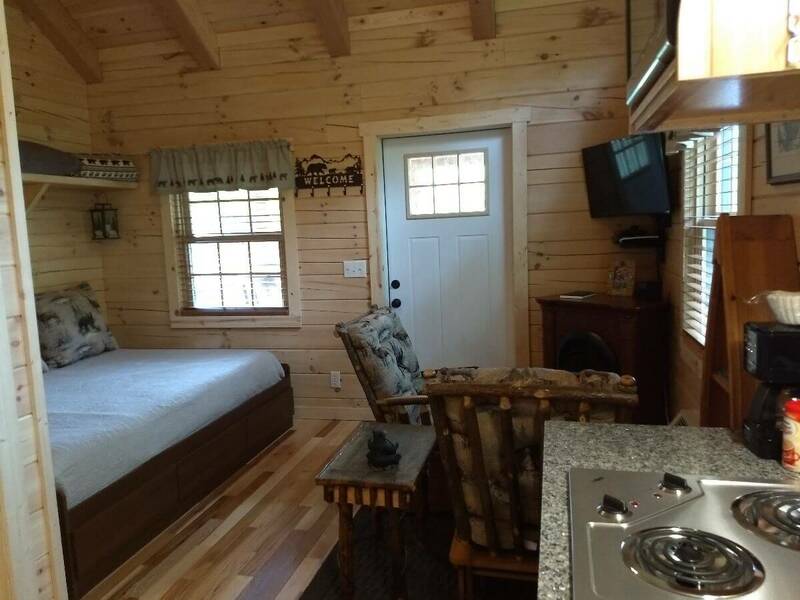 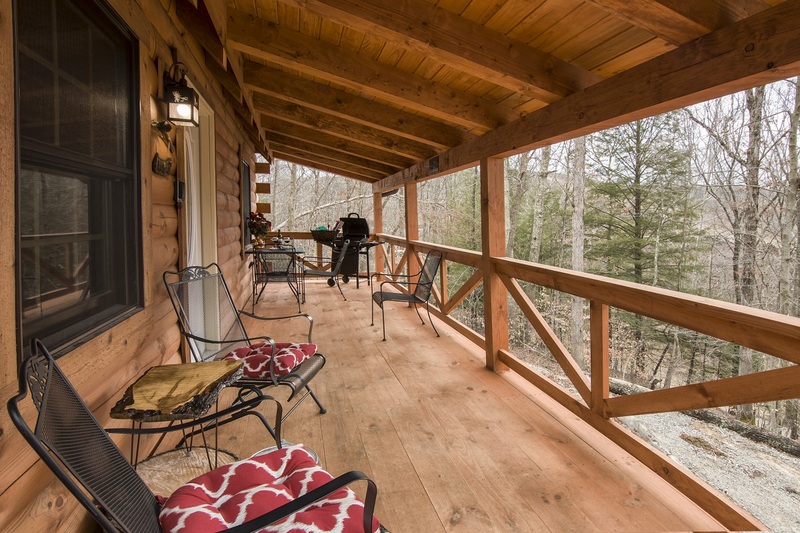 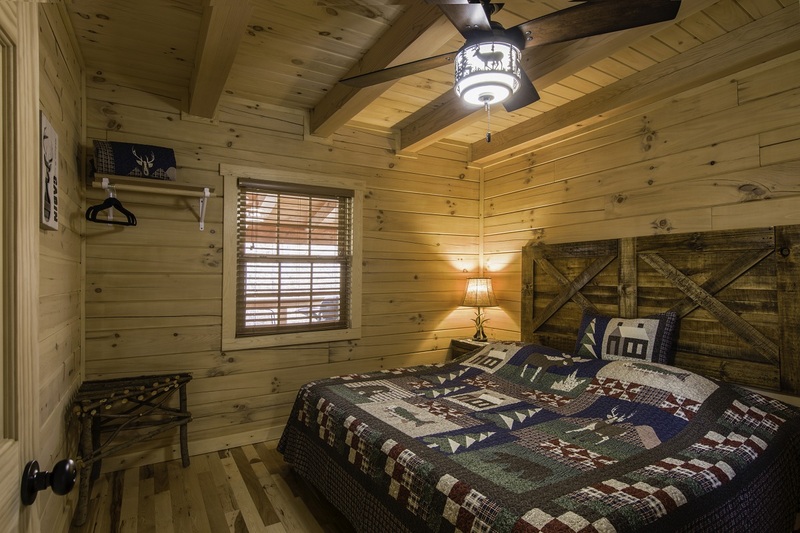 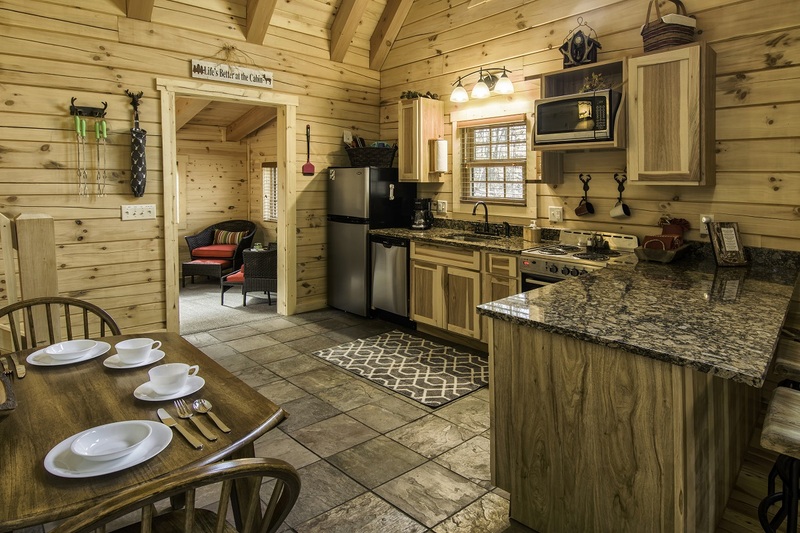 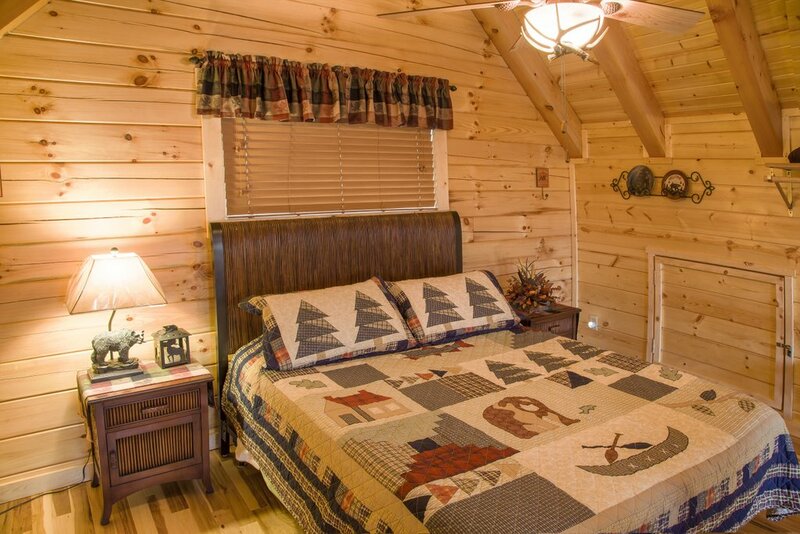 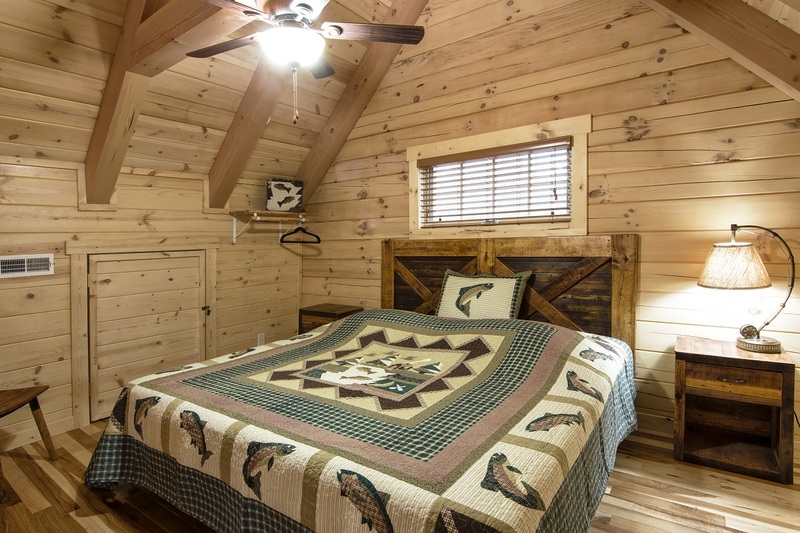 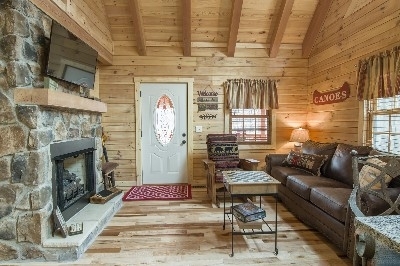 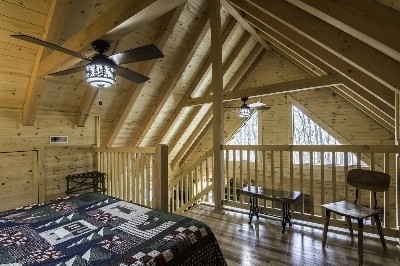 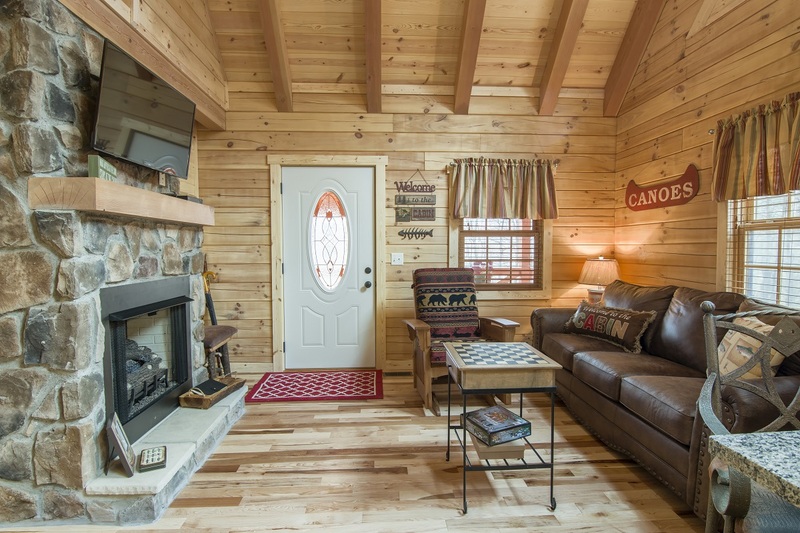 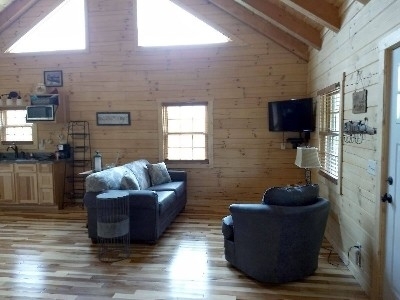 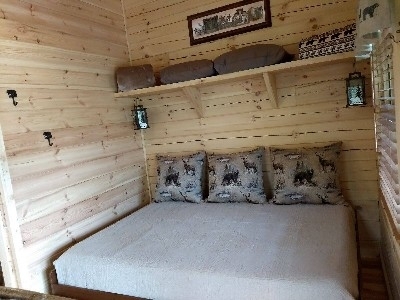 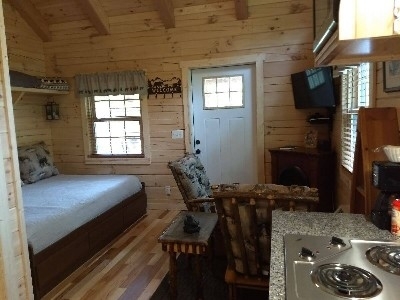 Three of our cabins feature a private bedroom and open loft to comfortably accommodate up to 4 adults. 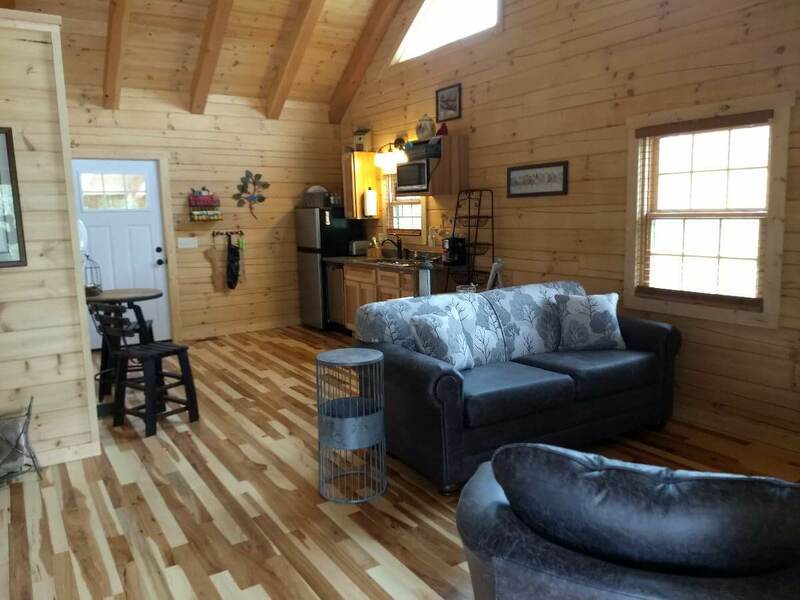 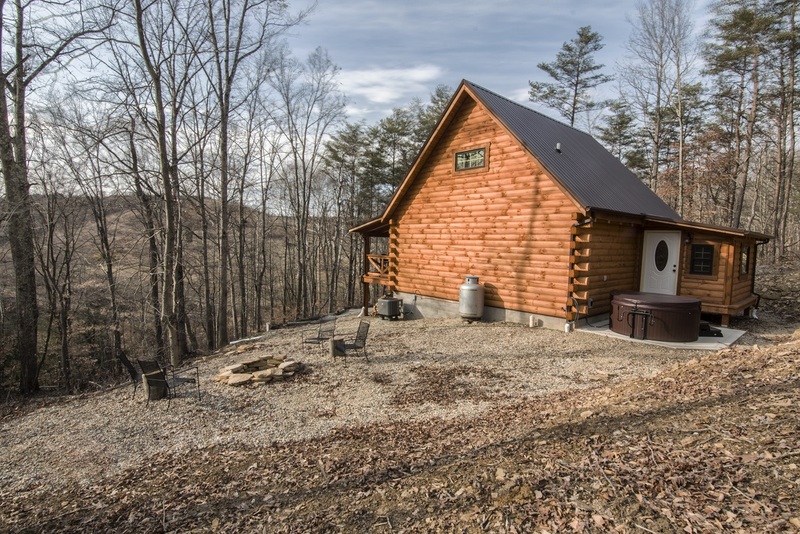 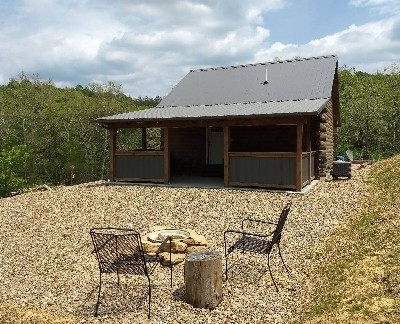 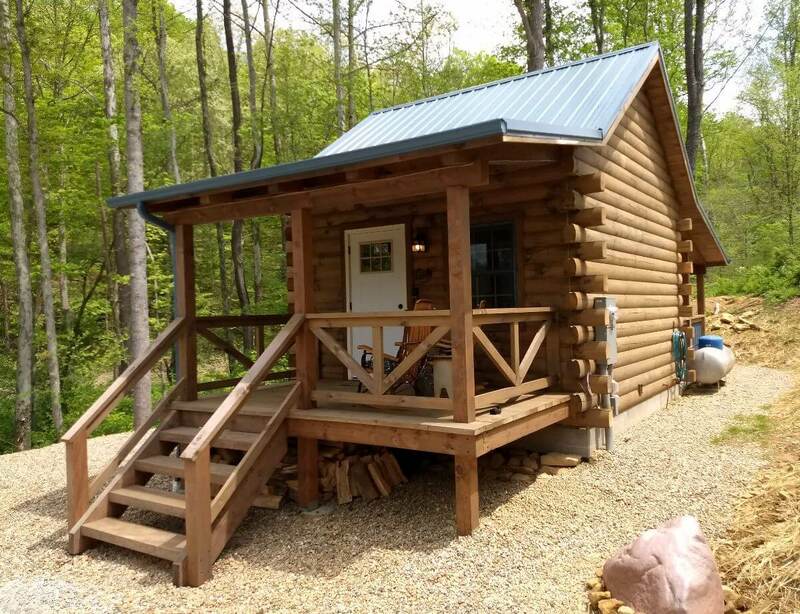 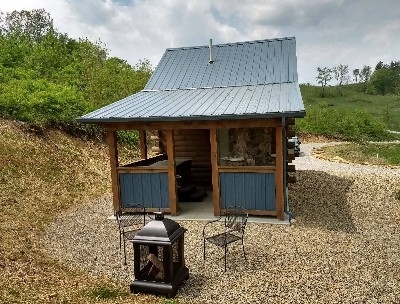 Our two newest cabins built in 2018, Lovebirds Landing and Snuggle Bear Bungalow, are couples-only cabins sleeping just two for a cozy, relaxing, and intimate vacation. We are just minutes from the Hocking Hills State Parks and all local attractions. 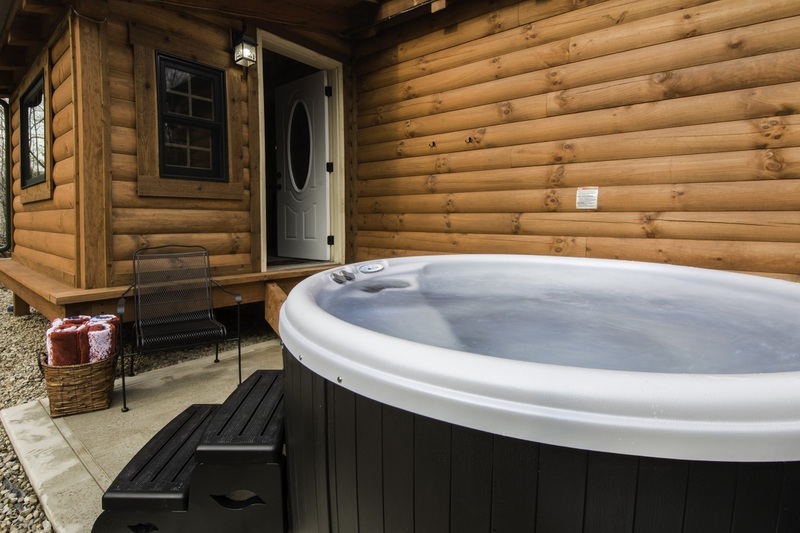 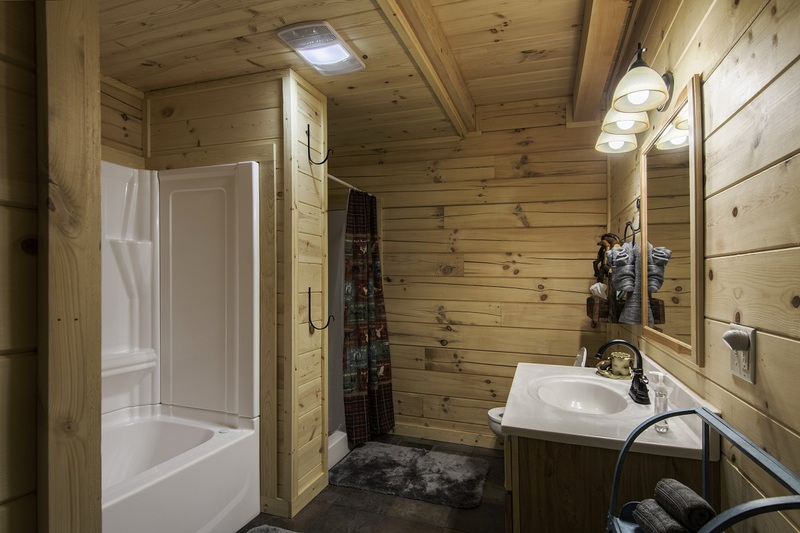 When you return from your daily activities, enjoy a long relaxing soak in the outdoor hot tub featured at all of our cabins! 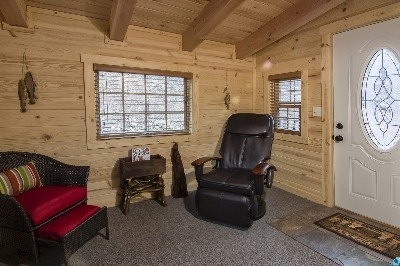 If you are staying at our Creekside Serenity or Sandstone Oasis cabins, you can also sink into the exclusive massage chair in the all-season room. 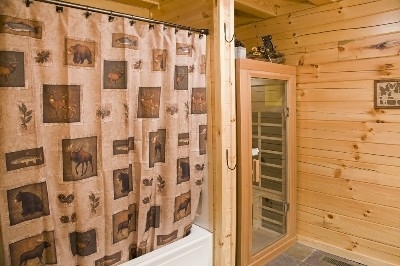 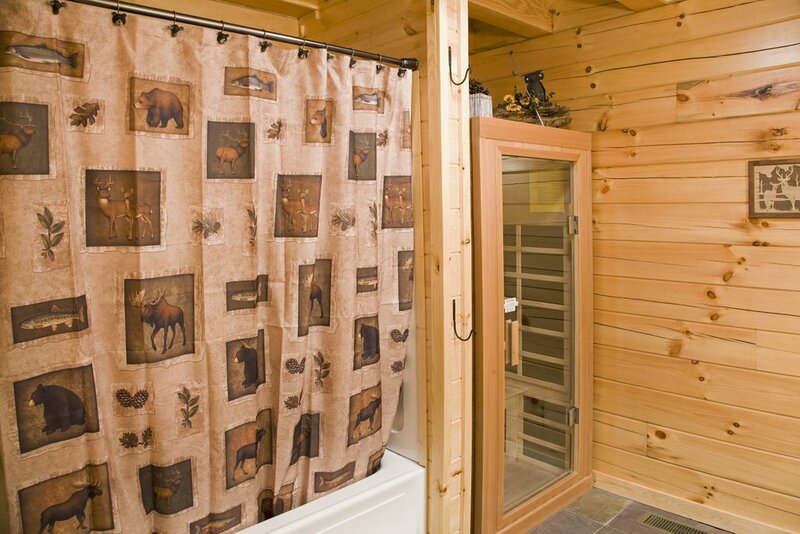 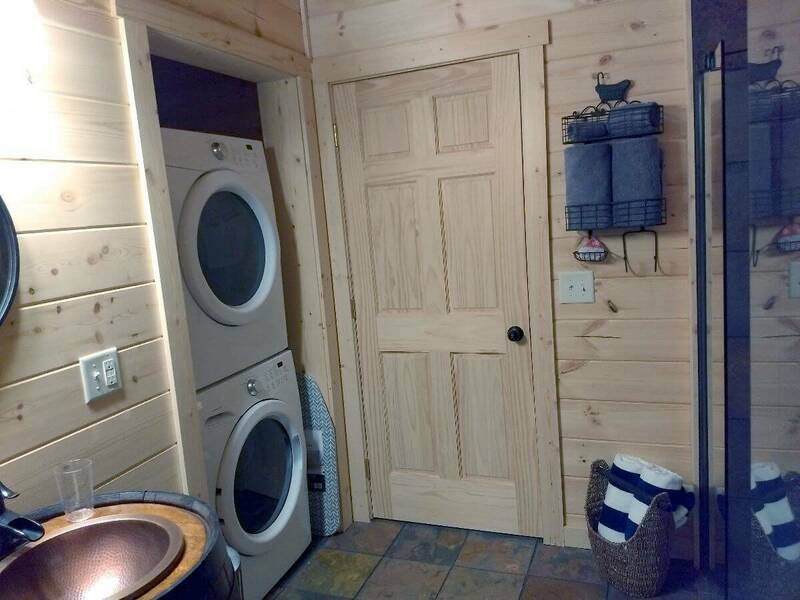 Or, at Hidden Gem Retreat cabin, relax in the warmth of the indoor infrared sauna. 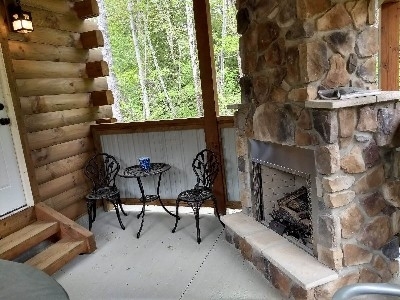 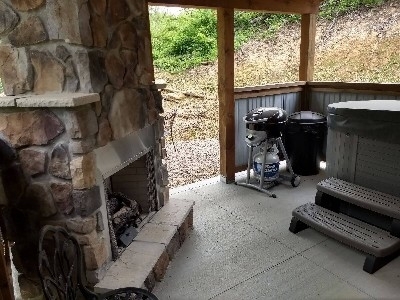 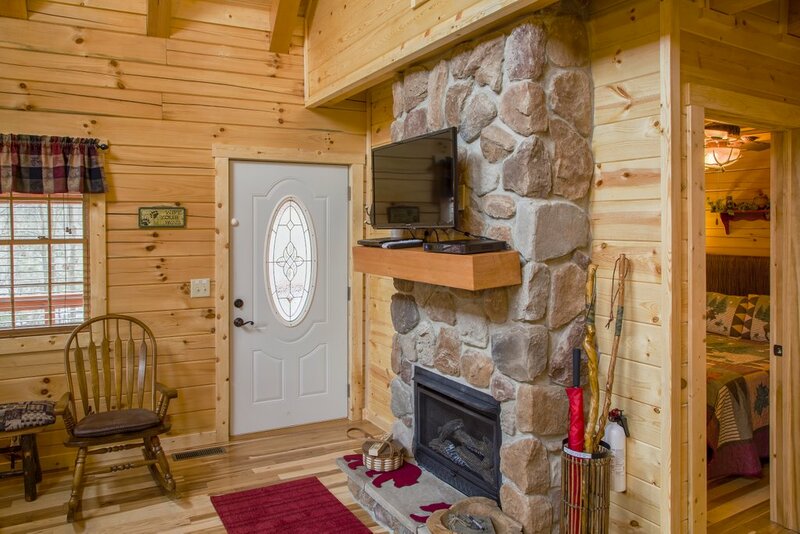 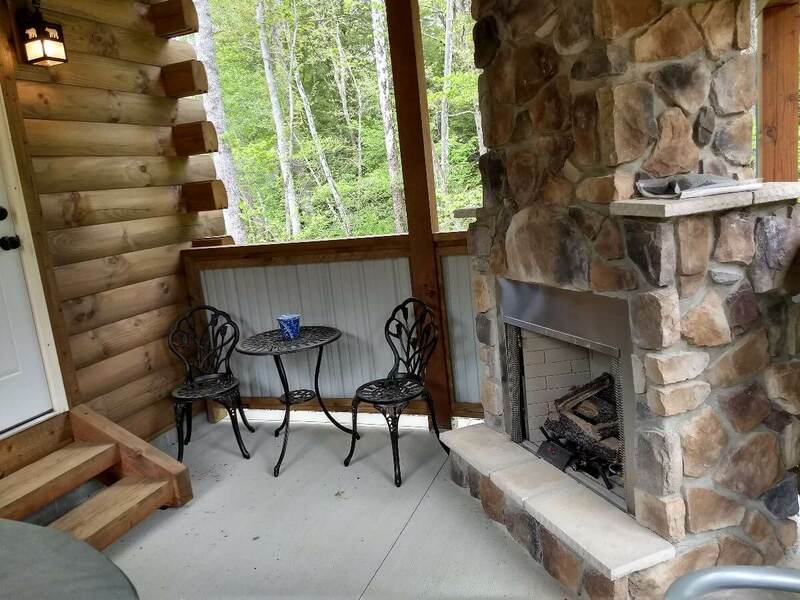 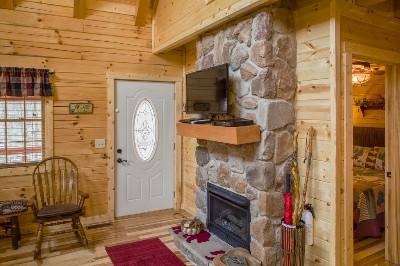 At Lovebirds Landing and Snuggle Bear Bungalow, you will enjoy the warm glow of the outdoor fireplace on the patio while taking in all the wonderful sights and sounds of nature. Whichever cabin you choose, we bet you'll want to stay forever! 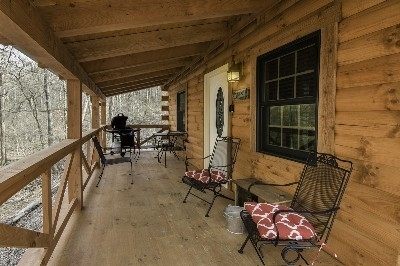 Paved asphalt driveways at all of our cabins make them easy to access and motorcycle friendly! 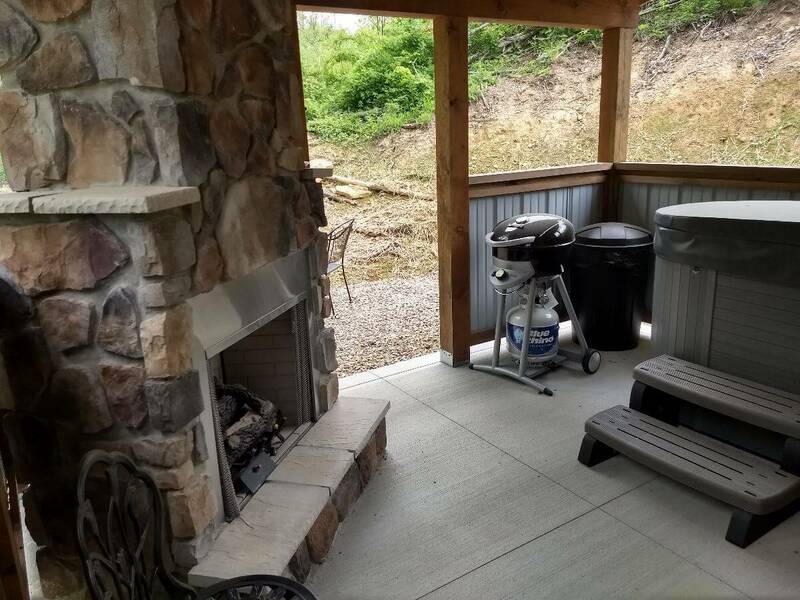 The driveways at Sandstone Oasis and Lovebirds Landing are a bit steep and may present a challenge for motorcycles or smaller vehicles. Book 3 Get 1 Half Off Discount - Save 50% ! Our deer-themed cabin, nestled next to a beautiful creek with a small waterfall in front. Enjoy the relaxing sounds of the babbling brook, and you're almost guaranteed to see a deer or two wandering by. 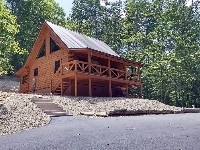 Children 5 and older considered adults. 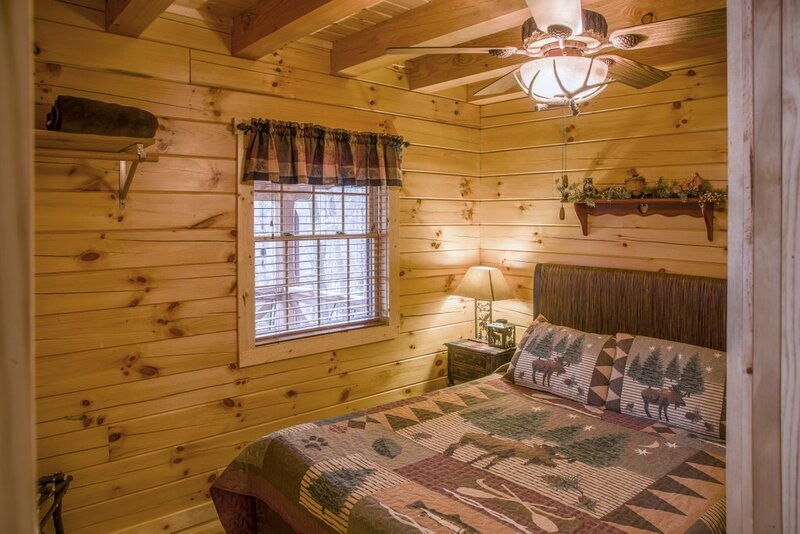 Hidden Gem Retreat is thoughtfully furnished to ensure you feel pampered and relaxed while away from home. 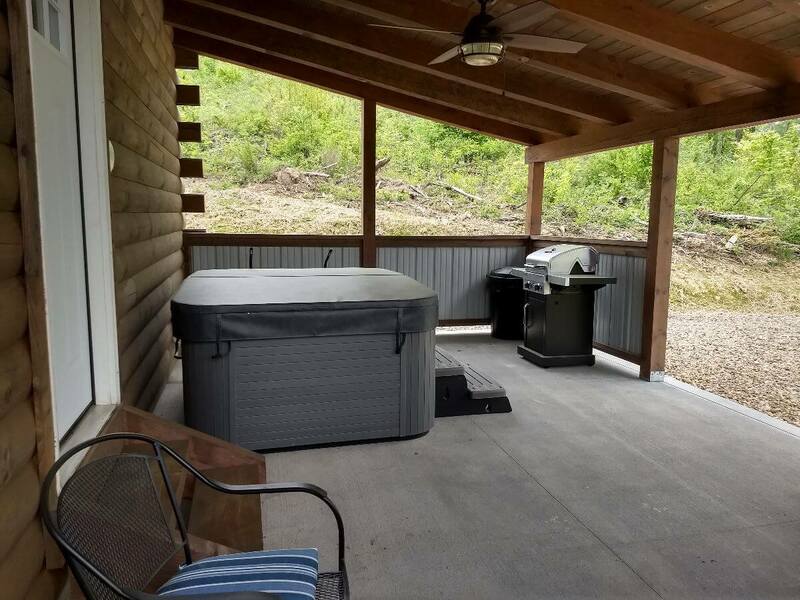 Tucked away on a beautiful 2.3 acre wooded hillside, located near the Hocking Hills parks and attractions. 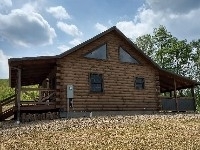 Children 5 and older considered adults. 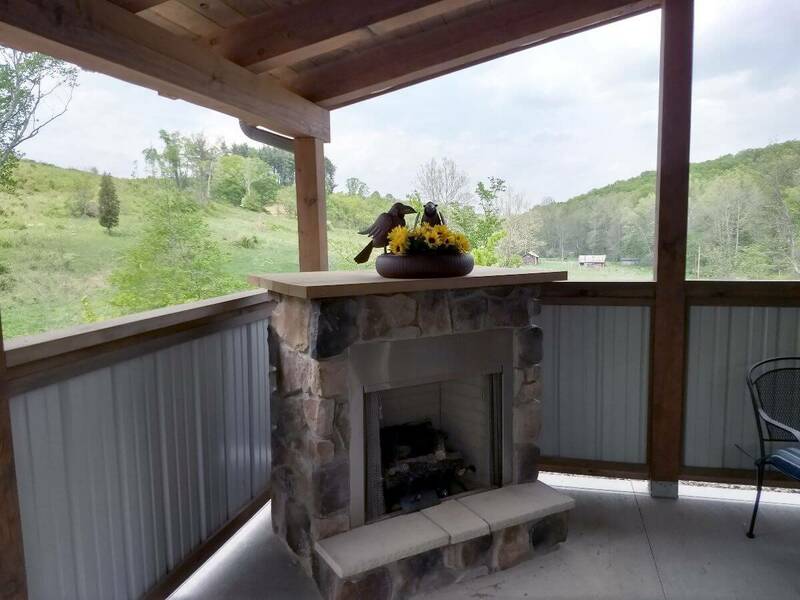 New in 2018, this bird-themed cabin is practically an open aviary of native birds. Perched high atop a hill with a beautiful backdrop of clear-cut rolling fields trees. Couples only 2 guests. 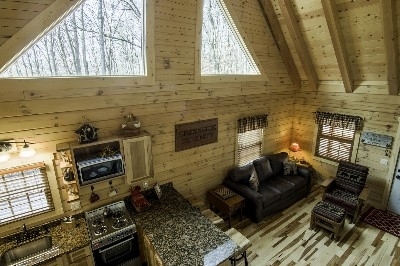 Children over age 5 considered adults. No children under 5. 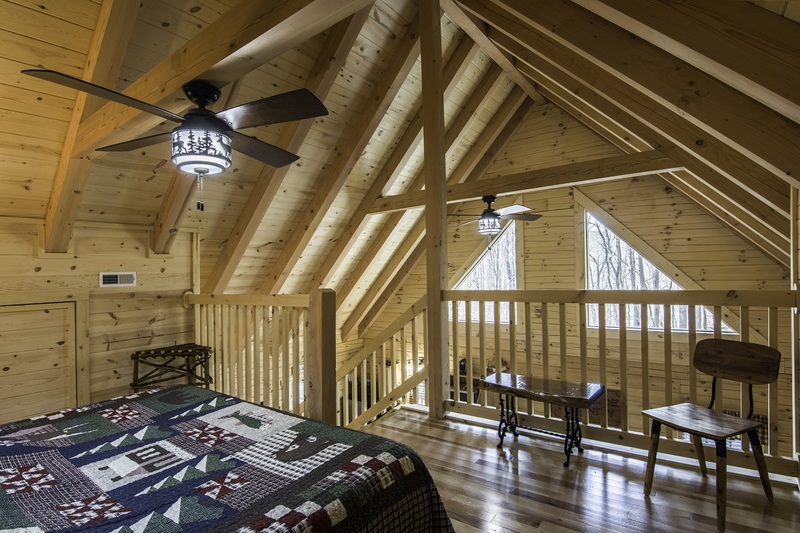 Our fisherman-themed cabin sits atop a wonderful wooded hill surrounded by Hocking Hills sandstone that is part of the natural landscape. Enjoy the sounds and serenity of nature during your escape to Hocking Hills. Children 5 and older considered adults. 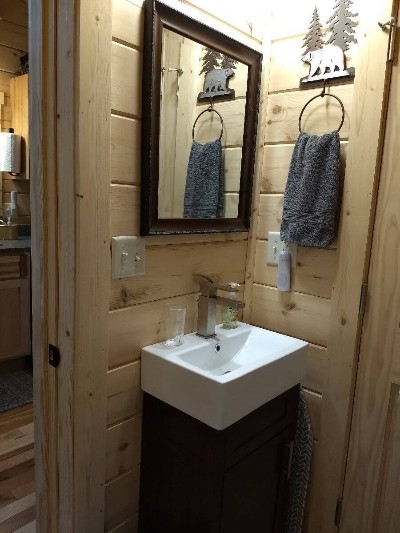 Brand new in 2018, our bear-themed tiny cabin is simply adorable. Prepare to snuggle up and get cozy. 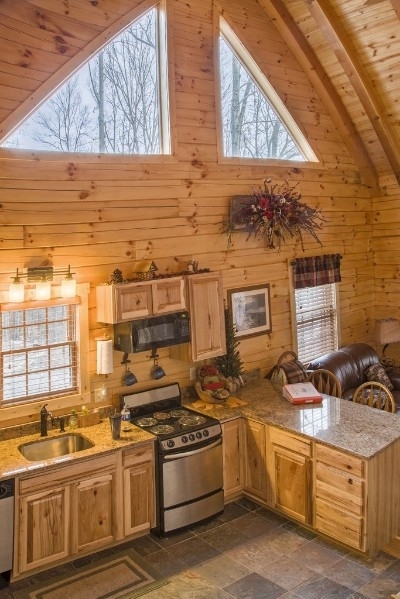 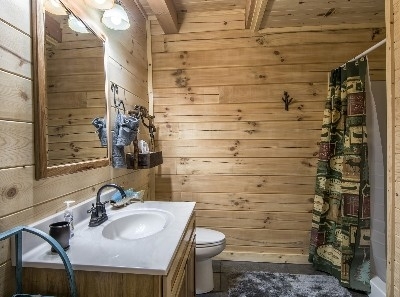 This cabin is very small compact, yet well appointed. Couples only 2 guests. 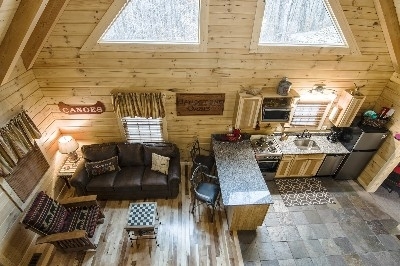 Children over age 5 considered adults. 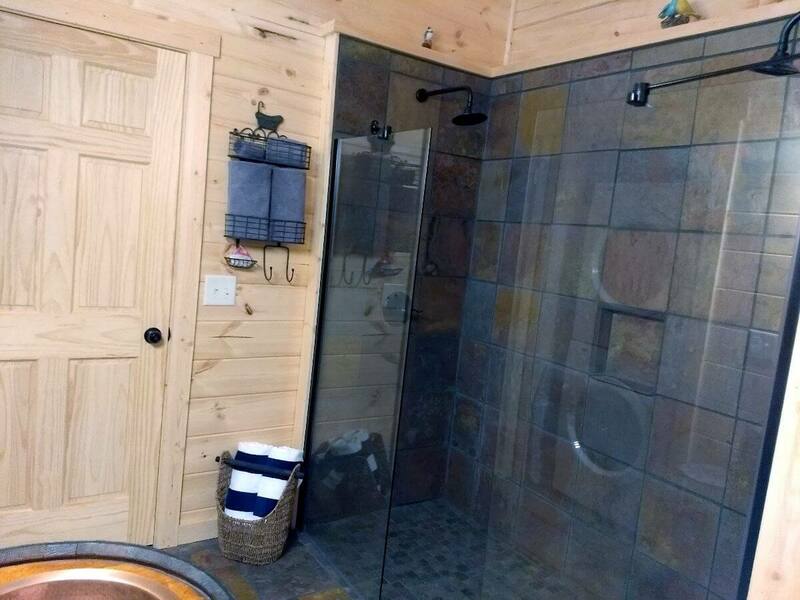 No children under 5. My wife and I loved everything about our weekend trip to the Hidden Gem. Every possible accommodation was provided and we were impressed with the cleanliness of the cabin. Thank you for making our weekend getaway so special! Thank you for the review Thomas, we're so glad you enjoyed the cabin and your visit to Hocking Hills! 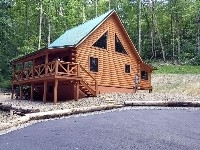 Wow, we really enjoyed staying almost a week at the Creekside Serenity Cabin. 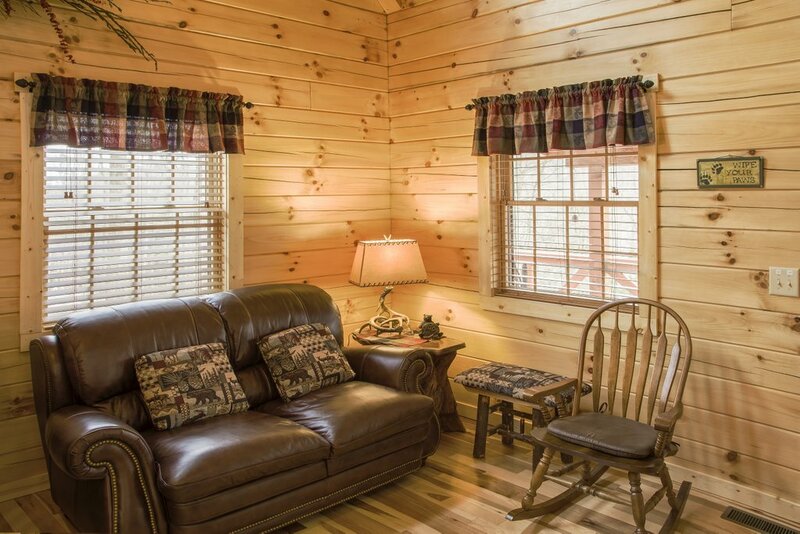 Our family, including 2 littles ones 4 7 enjoyed playing outside in nature and the amenities located within the cabin. 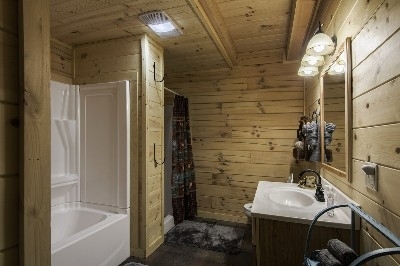 From the smell of the pine when you walk through the door to the big bath tub the children played in at night before bed, it was perfect. 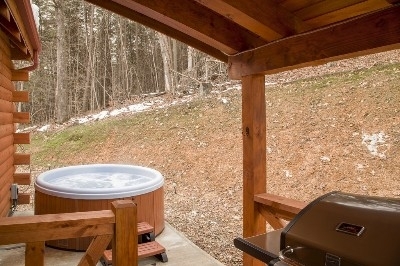 With a fully equipped kitchen we were able to cook and stay in by the fire and play in the hot tub on some nights. 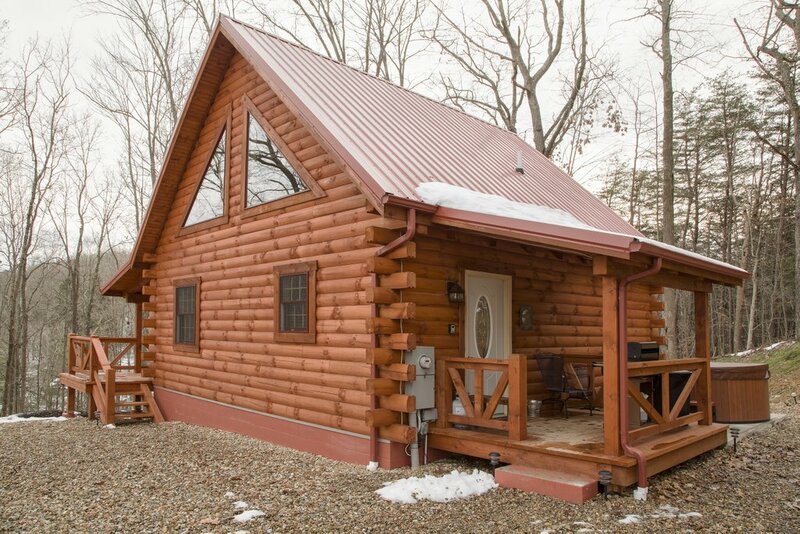 Great wifi kept us up to date on all work and school allowing our stay to be a breeze. 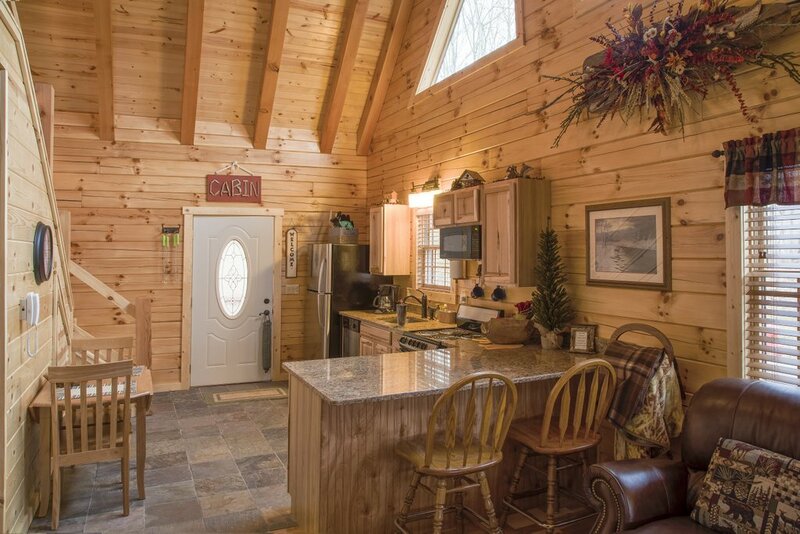 There was not one thing missing in this cabin and our early spring family vacation. 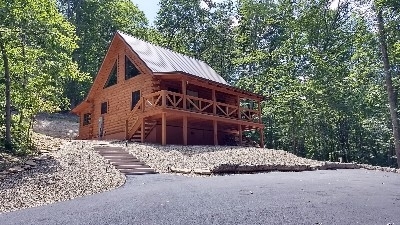 It was simply perfect. Thanks for the awesome 5-star review Charolette! 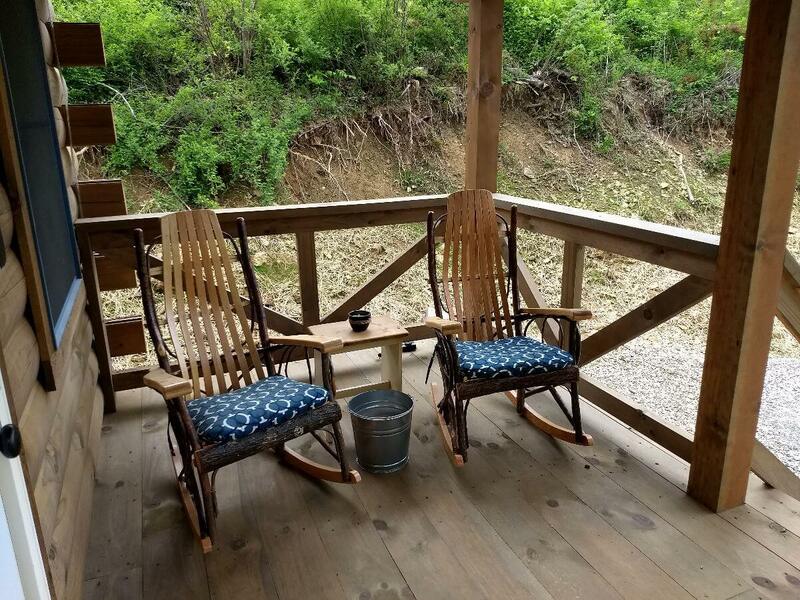 We're so happy you enjoyed your stay and were able to relax with your family and enjoy all Hocking Hills has to offer. Very accommodating and clean. 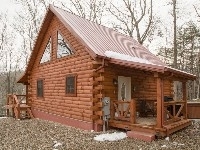 Great stay-will be back!! 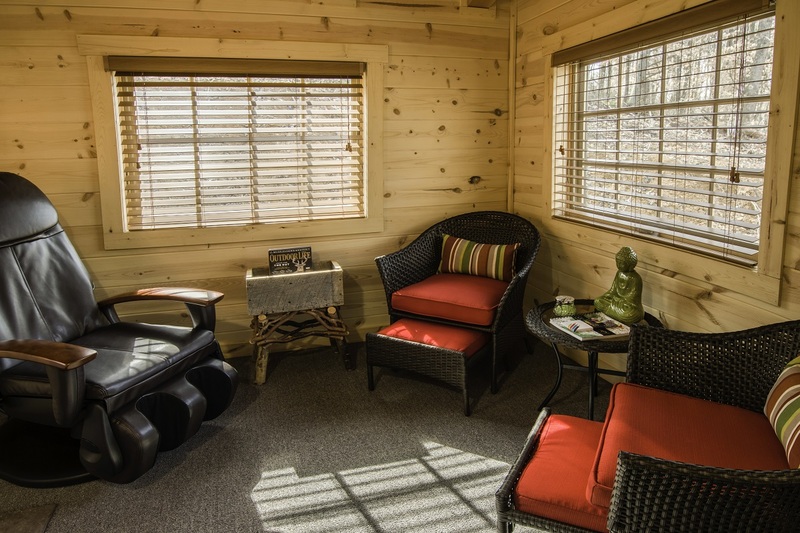 We're glad you enjoyed our Creekside Serenity cabin Jen! 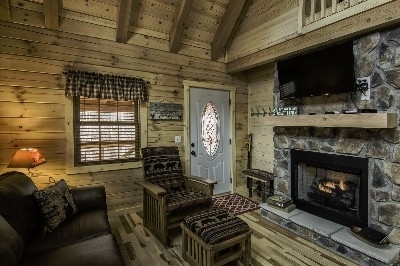 Looking forward to welcoming you back again soon!